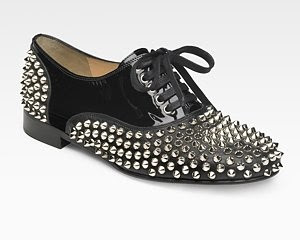 I'm loving these studded oxfords and loafers from Louboutin! I'm not loving their price though. Aptly called Freddy, the look is tough and a bit scary, especially the price! At $995 a pair, hello Freddy Krueger! It's for pre-order now at Saks. 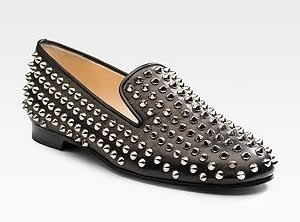 This Rollerball loafer is so my thing! But then again, it's $995 too. So, no thanks! ...it transforms! It's definitely a keeper! I can't wait for the weather to get warmer! 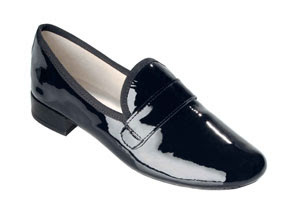 Now this Jackson loafer with strass crystals is a a tamer and more elegant version of the Rollerball. Definitely cheaper than Louboutins, it's much more expensive than the original patent Jacksons though. It's sold at Totokaelo.com for $330. Price wise, I'm happy with my loafers. This is it! I really like your shoes, especially the first photos. I love it! I will buy like that in the store. I love the 3rd shoe pic!! Does this mean that loafers are coming back?? I can't wait to wear my tod's & gucci loafers again! Not with NYC freezing weather though. I can't stand loafers with socks.. I really like the Repetto jackson shoes!! I can't find them anywhere! Do you know a place where they still sell them? Hi Chantal! Takashimaya in Singapore has Repetto Jacksons. Creatures of Comfort has suede Jacksons too!